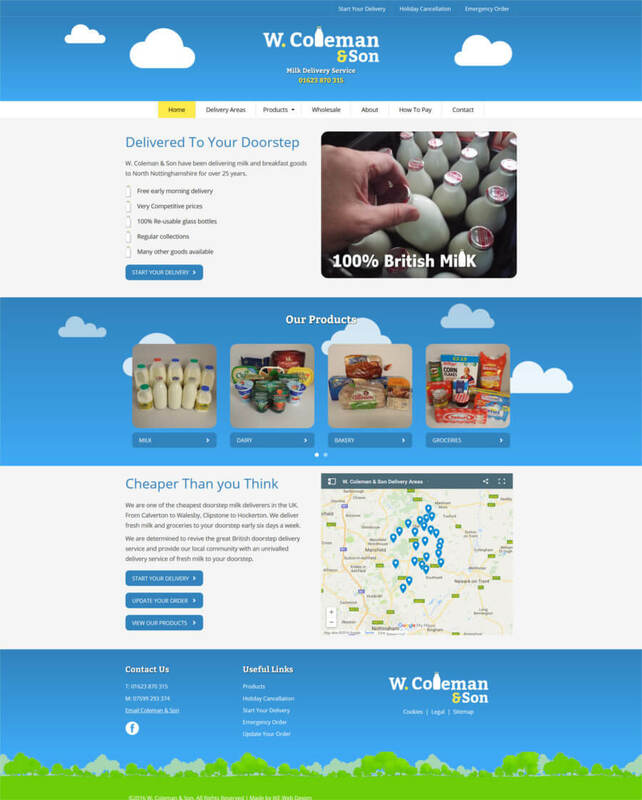 W. Coleman and Son have been delivering milk and breakfast goods to North Nottinghamshire for over 25 years. They came to JKE looking for an update on their original website which had proved going online was worthwhile. This design would take the next step and provide a professionally built website that is attractive and easy to use. We started with a new logo design and from this worked closely with W. Coleman and Son to create the new site ensuring that it allows users to easily find everything, gives a professional welcoming image and works on all devices. 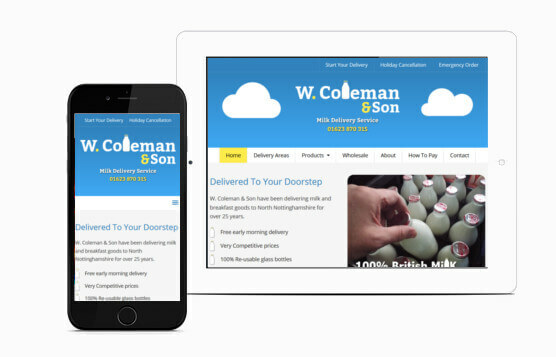 With subtle css animation and transitions the attractive design allows for future enhancements to be done easily if W. Coleman and Son want to add more to their online offering in the future.